Liberty Intl. - Charlotte-Douglas Intl. Seattle - Tacoma Intl. - Charlotte-Douglas Intl. Ronald Reagan Washington National - Charlotte-Douglas Intl. There are many reasons Charlotte, North Carolina's largest city, is on the rise. Like its tangy and slow-simmered barbecue sauce, The Queen City is a melding of history, genteel Southern charm, natural beauty, and eclectic flare. Whether you speed through the city like prize-winning wheels at the NASCAR Hall of Fame or you stroll slowly through botanic gardens, a Charlotte getaway is the perfect opportunity to see, explore, and taste the best of this beautiful city…and our Charlotte vacation deals make it even easier to make the journey. 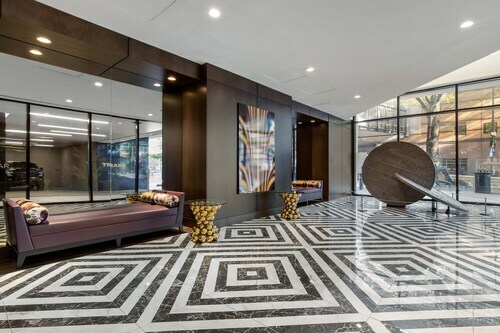 The Westin Charlotte: Stay in the center of lovely Uptown Charlotte, within walking distance to Harvey Gantt Center for African American Arts and Culture—a vital piece of national identity—and the Mint Museum Uptown. If you get carried away sightseeing, don’t worry—you can order a delicious meal with 24-hour room service or stowaway some snacks in the in-suite refrigerator. 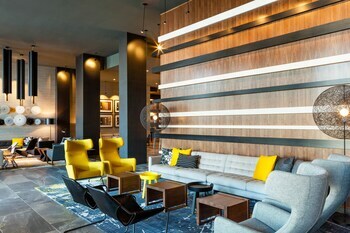 Le Meridien Charlotte: Perhaps the name gives it away, but this downtown hotel has a contemporary Continental flare and comfort. Located within walking distance to the NASCAR Hall of Fame and the Afro-American Cultural Center, Le Meridian—true to its name—sits in the middle of the many incarnations of Americana. Relax back at the hotel with dinner in one of the three restaurants and drinks at the poolside bar. The Dunhill Hotel: In Charlotte’s historic Fourth Ward, this downtown hotel keeps good company with McGlohon Theatre and Discovery Place, among other historic and cultural landmarks. 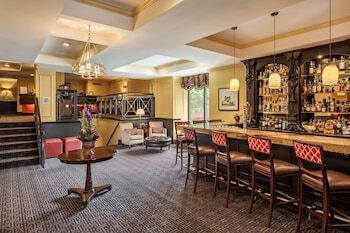 Built in 1929, The Dunhill is a landmark, too, and you’ll feel like you’ve stepped back in time when you see the stately décor and enjoy old-school Southern hospitality. 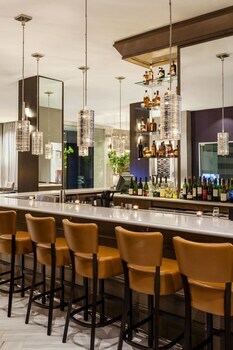 Omni Charlotte Hotel: When you see a building of gleaming windows and elegant angles standing tall Uptown, tell yourself, “That’s where I’m staying.” From the gorgeous suites of this modern high-rise, you’ll be within walking distance to Blumenthal Performing Arts Center and the Time Warner Cable Arena. Enjoy an evening of entertainment and return to 24-hour room service in your luxury suite. As you'd expect from a marvelous metropolis, Charlotte boasts many museums, including the Levine Museum of the New South and Discovery Place Children's Museum, where your imagination will shake off its moth balls. Do you have a need for speed? Head to the Hendrick Motorsports Complex for NASCAR excitement, and then pay homage at the NASCAR Hall of Fame. As the flag waves the winning car across the finish line, go ahead and scream with joy—outside voices are welcome here. When you crave a more refined experience, spend an evening at Blumenthal Performing Arts Center; the building itself is a masterpiece of contemporary design that attracts major acts year-round, like traveling Broadway productions and international concert tours. Layer on the luxury with fine dining at one if Charlotte’s top restaurants before the first curtain rises. In the historic neighborhood of Elizabeth, just southeast of downtown, The Fig Tree Restaurant wows diners with artful Continental cuisine and a charming bungalow built in 1913. The Fig Tree Restaurant is trusted with more marriage proposals than any other dining venue in the city—perfect for your next romantic vacation in Charlotte. If you’re planning your vacation in Charlotte around the cusp of autumn, don't miss Festival in the Park in September where you can stroll, people watch, and buy local wares. Bands, Brews, and BBQs at Carowinds and Charlotte Pride Week both occur in late summer. The early summer Charlotte Beer Festival is new to the annual calendar, but is quickly becoming a local favorite. Bottoms up. When The Queen City issues you a royal invitation to its historic streets and immerging cuisine and brewery scene, accept graciously and book a Charlotte vacation package with Travelocity. Sweet North Carolina is waiting with a warm welcome. 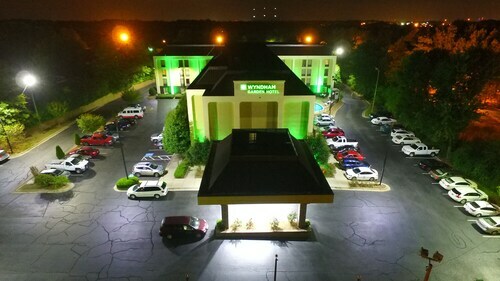 Located in Arrowood, this hotel is within 6 mi (10 km) of United States Citizenship and Immigration Services office, Carowinds Theme Park, and SouthPark Mall. Billy Graham Library and York Road Community Park are also within 6 mi (10 km). 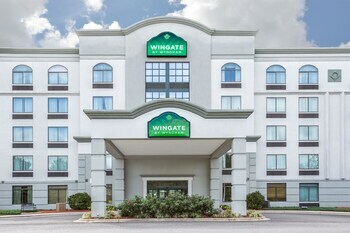 Situated in the business district, this spa hotel is 0.4 mi (0.7 km) from The Dale Trail and within 6 mi (10 km) of Curb Motosports Museum and North Carolina Music Hall of Fame. North Carolina Research Campus and CMC-NorthEast Stadium are also within 6 mi (10 km). 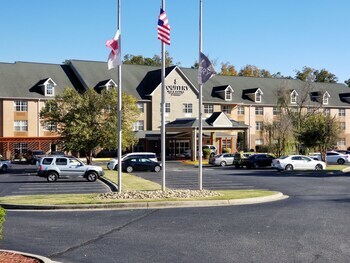 Situated in Charlotte, this hotel is within 2 mi (3 km) of Billy Graham Library, Charlotte Regional Farmers Market, and York Road Community Park. Renaissance Park and United States Citizenship and Immigration Services office are also within 3 mi (5 km). Woodlawn Station is 12 minutes by foot and Scaleybark Station is 24 minutes. 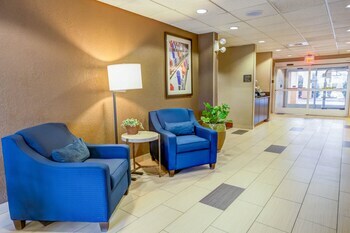 The hotel is connected to the Epicentre Entertainment District and is 1 block from the Spectrum Arena and the Blumenthal Performing Arts Center; it is 6 blocks from the Bank of America Stadium. 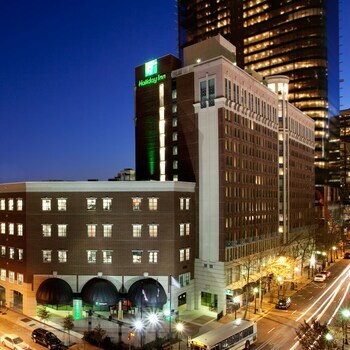 Located in Charlotte Center City, this hotel is within 1 mi (2 km) of Johnson & Wales University - Charlotte, EpiCentre, and Bank of America Stadium. Fillmore Charlotte and Spectrum Center are also within 1 mi (2 km). Charlotte Transportation Center Station is 19 minutes by foot and 3rd St - Convention Center Station is 22 minutes. 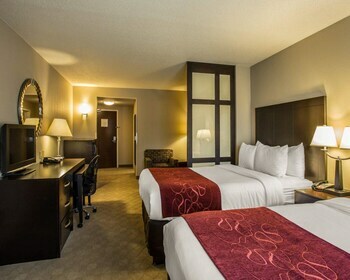 Located in Charlotte Center City, this hotel is within a 10-minute walk of NASCAR Hall of Fame, Spectrum Center, and EpiCentre. 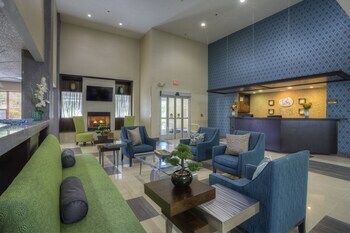 Charlotte Convention Center and Bank of America Corporate Center are also within 10 minutes. 3rd St - Convention Center Station is only a 4-minute walk and Charlotte Transportation Center Station is 6 minutes. 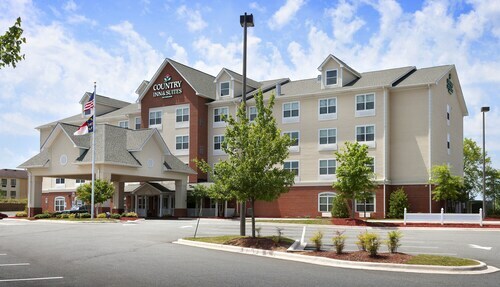 Located off I-77, this hotel is within 6 miles of Carowinds amusement park, Bank of America Stadium, Bobcats Arena, and the Charlotte airport. The hotel is across from the Charlotte Convention Center, 1 block from EpiCentre Entertainment Complex, and within 2 blocks of Spectrum Center.